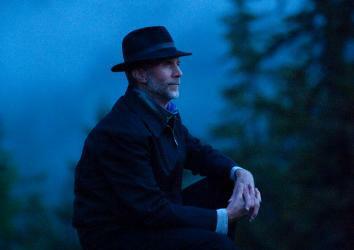 John Luther Adams, Grammy winner for Become Ocean, discusses politics and his composition process. How should artists engage with times of crisis? 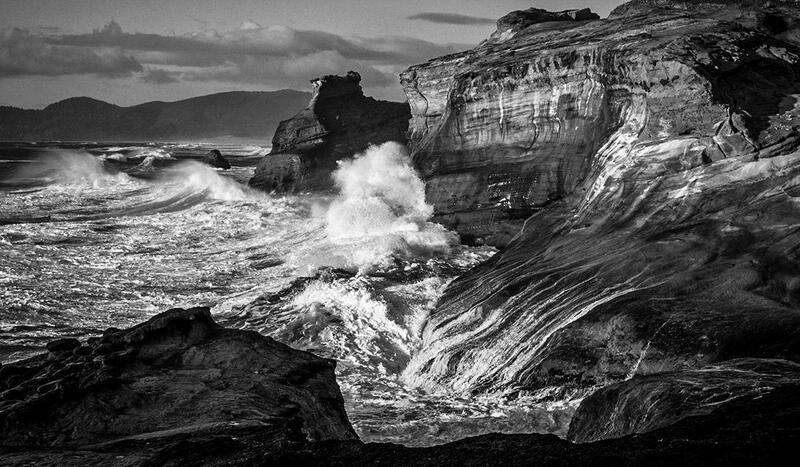 Cape Kiwanda, Pacific City, Oregon. I am standing alone on a beach, listening to the Pacific. As each wave rolls in—booming, roaring, growling, hissing—I listen to its voice: the unique contours of its rising and falling, its singular crescendo and diminuendo. I listen for the interval between this wave and the wave before it, and the one that comes after. I listen as the waves advance and retreat, melding and passing through one another, crashing like cymbals on the shore. I listen to the small stones clattering over one another, pulled inexorably back into the unimaginable vastness of water that stretches away toward Asia. I do my best to listen as intently, as deeply as I can. Even so, my mind wanders. A plastic bottle among the rocks reminds me that there are vast islands of garbage drifting far out at sea. A strong gust of wind reminds me of the increasingly capricious weather, and of the storms that lash this and other shores with growing ferocity. The burning sunlight reminds me of melting tundra and expanding deserts, of diminishing polar ice and rising seas all over the earth. I do my best to refocus my attention, to return only to listening. Yet how can I stand here today and not think of these things? The earth is 4,540,000,000 years old. The entire written history of the human species has unfolded in the 11,700 years since the most recent ice age, a brief moment of geologic time known as the Holocene. Throughout our history, we humans have altered the surface of the earth. But over the past century or so we have become an undeniable geologic force, making deep, troubling changes to the earth and its living systems. Today a growing number of geologists believe we have left the Holocene and entered a new period—the Anthropocene—in which the dominant geologic force is humanity itself. What does this mean for music? What does it mean for my work as a composer, or for any artist working in any medium today? These looming threats to the biosphere compel me to write music that is more than entertainment, more than a personal narrative or a celebration of the heroic struggle of the individual. But can music be engaged with current events and at the same time detached from them? Can music resonate with the world around us, and yet still create a world of its own? 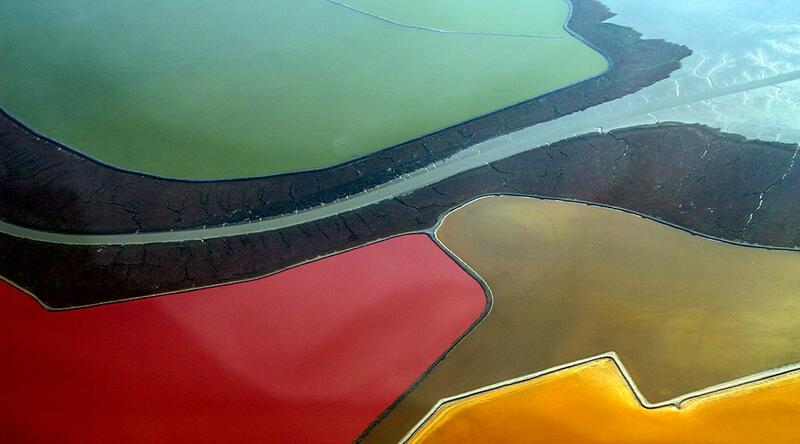 Salt evaporation ponds formed by salt water impounded within levees in former tidelands on the shores of San Francisco Bay. When I was younger, I was a full-time environmental activist. In the 1970s and ’80s I worked for the Wilderness Society, the Alaska Coalition, and the Northern Alaska Environmental Center. The small role that I played in the passage of the Alaska National Interest Lands Conservation Act (the largest land preservation law in U.S. history) and in helping prevent destructive dams, highways, mining, and oil drilling in Alaska remains among the most satisfying experiences of my life. But the time came when I realized that I had to choose between a life as an activist and a life as an artist. In that moment, I decided that someone else could take my place in politics; and no one could make the music I imagined but me. So I took a leap of faith, in the belief that music and art can matter every bit as much as activism and politics. And over the years, as climate change and other global environmental threats have accelerated, and as our political systems have become increasingly dysfunctional, I’ve come to believe that, fundamentally, art matters more than politics. As a composer, I believe that music has the power to inspire a renewal of human consciousness, culture, and politics. And yet I refuse to make political art. More often than not political art fails as politics, and all too often it fails as art. To reach its fullest power, to be most moving and most fully useful to us, art must be itself. If my work doesn’t function powerfully as music, then all the poetic program notes and extra-musical justifications in the world mean nothing. When I’m true to the music, when I let the music be whatever it wants to be, then everything else—including any social or political meaning—will follow. From the titles of my works—songbirdsongs, In the White Silence, or Become Ocean—it’s clear that I draw inspiration from the world around me. But when I enter my studio, I do so with the hope of leaving the world behind, at least for a while. Yet it’s impossible to sustain that state of grace for long. Inevitably, thoughts intrude: Sometimes I think about people, places, and experiences in my life. Sometimes I think about the larger state of the world, and the uncertain future of humanity. Even so, I’m not interested in sending messages or telling stories with music. And although I used to paint musical landscapes, that no longer interests me either. The truth is, I’m no longer interested in making music about anything. Though a piece may begin with a particular thought or image, as the music emerges it becomes a world of its own, independent of my extra-musical associations. In the end, those initial inspirations may remain, as a title or a program note—invitations to a listener to find her way into the music. However, the last thing I want is to limit the listener’s imagination. If a listener feels constrained by any words I may offer along with the music, then I encourage her to ignore them. And few things make me happier than a listener who hears something, experiences something, discovers something in the music that the composer didn’t know was there. It’s only through the presence, awareness, and creative engagement of the listener that the music is complete. My desire for greater freedom for discovery—by the listener, the performing musicians, and the composer—has led me into new musical territory. For much of my life, I’ve made music inspired by the outdoors—but it was almost always heard indoors. Several years ago it finally occurred to me that it might be time to compose music intended from the start to be heard outdoors. Making music outdoors invites a different mode of awareness. You might call it “ecological listening.” In the concert hall, we seal ourselves off from the world and concentrate our listening on a handful of carefully produced sounds. Outdoors, rather than focusing our attention inward, we are challenged to expand our awareness to encompass a multiplicity of sounds, to listen outward. We’re invited to receive messages not only from the composer and the performers, but also from the larger world around us. In outdoor works like Inuksuit, the musicians are dispersed widely throughout a large, open area. There is no conductor. Every musician is a soloist. No two musicians play exactly the same part. And each musician follows his or her own unique path through the physical and musical landscape of the piece. The same is true for the listener. There is no best seat in the house. You may choose to root yourself in one location and let the music move around you. Or you may wander freely throughout the performance, following your ears, actively shaping your own experience, creating your own “mix” of the music. For me, this relationship between the music and the listener simulates a human society in which we all feel more deeply engaged with the world, and more empowered to help change it. Making music outdoors has also led me to a new understanding of musical polyphony, as a community of voices, an ecosystem of sounds. In a performance outdoors, it’s sometimes difficult to say exactly where the piece ends and the world takes over. Rather than a single point of interest, every point around the aural horizon is a potential point of interest, a call to listen. With characteristically radical elegance John Cage defined music as “sounds heard.” The idea that music depends on sound and listening might seem as self-evident as the idea that we human animals are an inseparable part of nature. But both these simple truths challenge us to practice ecological awareness in our individual and our collective lives. Cage’s definition of harmony was “sounds heard together.” Listening to the multiplicity of sounds all around us all the time, we learn to hear the marvelous harmony they create. Hearing this harmony we come to understand our place of our human voices within it. 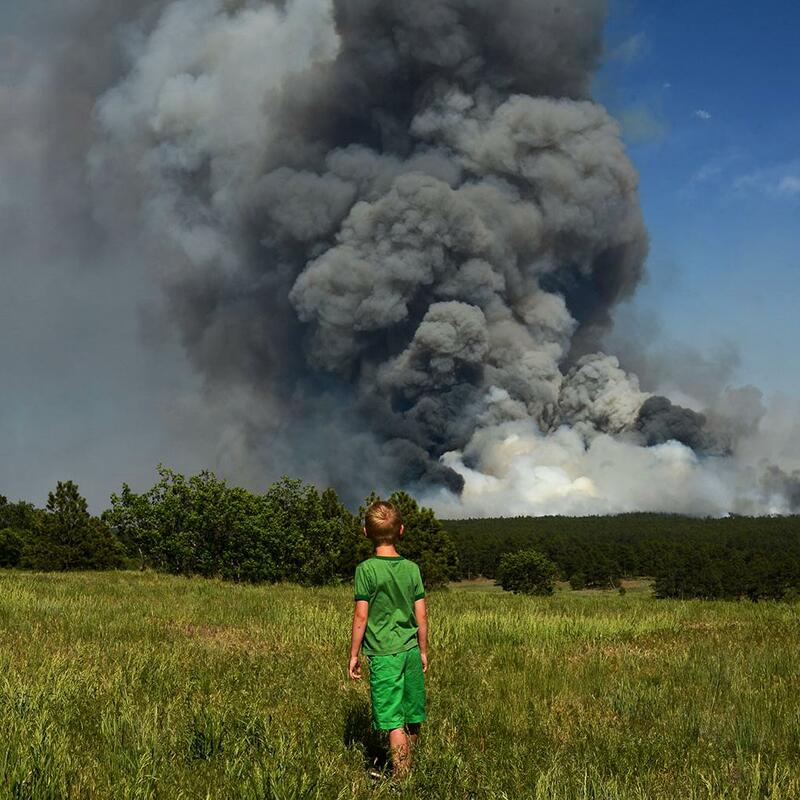 Smoke covers the Black Forest area near Colorado Springs, Colorado, on June 8, 2013. An Inuit hunter scanning the tundra for game will tell you that you learn the most by watching the edges. For most of my creative life, I’ve lived far removed from the centers of cosmopolitan culture. In Alaska I imagined I could work on the outer edge of culture, drawing my music more directly from the earth. Over four decades I listened for that music—in the mountains and on the tundra, on the shoulders of glaciers and the shore of the Arctic Ocean, and in the northern forest, learning the songs of the birds. And now I stand here, on this beach by the Pacific, still listening, immersed in the music of the sea. At night, as my wife and I sleep, it flows into the deepest reaches of my consciousness. There are moments when it sounds as if the waves will come crashing through the open windows, and carry us away. And then it falls to a whisper, and startles me awake. In these sudden still moments, I’m filled with an exquisite mixture of tranquility and dread. In the morning, I rise and do my best to write down the music that I heard in my dreams. As I listen, day after day and night after night, a new sound begins to take shape—vast and amorphous, deep and inexorable. My thoughts return often to the melting of the polar ice and the rising of the seas. I remember that all life on this earth first emerged from the sea. And I wonder if we humans as a species may once again return to the sea sooner than we imagine. Then is this music about the sea? Yes. Well, in a way … but what I really hope is that this music is an ocean of its own, an inexorable sea of sound that just may carry the listener away into an oceanic state of mind. Geologists today are engaged in a lively debate about whether the Anthropocene qualifies as a legitimate geological epoch. Regardless of the outcome of that debate, we can no longer deny the reality that human impacts on the earth are unprecedented in our history. There are some who envision a “good” Anthropocene, in which we humans manage to save ourselves and minimize our impacts on the earth through new technology. But blind faith in technology is part of what got us into this predicament. And we can’t simply engineer our way out of it. Others contend that the very concept of the Anthropocene leads us to the inevitable conclusion that it’s already too late for us to change anything. Maybe so. But I believe that even if it is too late to avert disaster, we have both an ethical and a biological imperative to try. My work is not activism. It is art. As an artist, my primary responsibility must be to my art as art—and yet, it’s impossible for me to regard my life as a composer as separate from my life as a thinking human being and a citizen of the earth. Our survival as a species depends on a fundamental change of our way of being in the world. If my music can inspire people to listen more deeply to this miraculous world we inhabit, then I will have done what I can as a composer to help us navigate this perilous era of our own creation. For me, it all begins with listening. New Yorker classical critic Alex Ross has called John Luther Adams “one of the most original musical thinkers of the new century,” and it’s easy to see why. His work is as skillfully crafted and conceptually sophisticated as any modern master’s; and yet, a warm, curious spirit and ethic of generosity toward the listener are never lost in the mix. Though he has been composing for decades, his recent works, many of which engage with the natural environment (or, as with the outdoor work Inuksuit, literally take place in it), have enjoyed particular acclaim. Become Ocean, an immersive, large-scale orchestra work, was premiered by the Seattle Symphony Orchestra in 2013, and the piece subsequently garnered Adams a number of prestigious awards and prizes, including the 2014 Pulitzer Prize for Music and, most recently, the Grammy for Best Contemporary Classical Composition. Conductor Ludovic Morlot and the SSO’s recording of Become Ocean is now available on the Cantaloupe label.